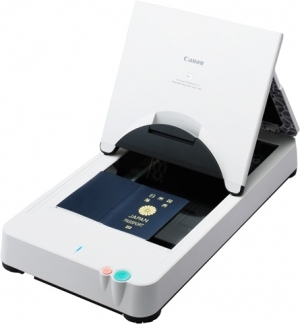 Canon Flatbed Scanner Unit 101 Simple to connect via USB cable, the optional Flatbed Scanner Unit 101 works across a wide range of Canon DR-series scanners*. Ideal for bound and fragile documents, it offers 50% greater productivity than similar competitive products. High-speed, high-resolution (1200 dpi) open scanning is supported by a unique adjustable cover and ambient light control.